I have been hearing people raved about 3CE (3 Concept Eyes) lippies for ages but never did get a chance to try it until today. Their products are such hot sellers, it was actually completely sold out in some parts of Taiwan! Even in Korea itself, most stocks tend to be OOS.. so you can only imagine how intrigued I am with this brand. 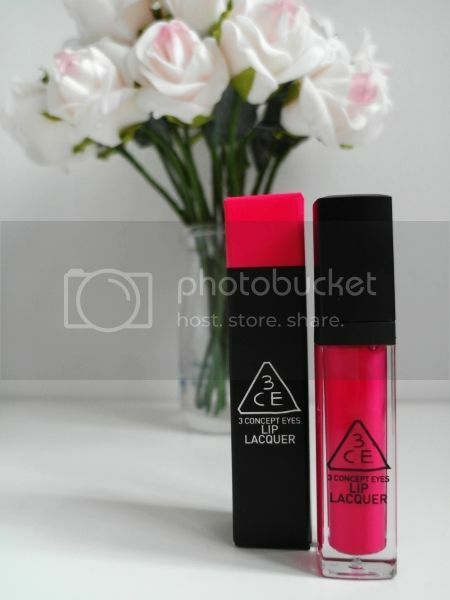 3CE have a total 10 colors for their lip lacquers and the one I’ve received is in Pink Boom! Obviously it is not the usual lip palette I would go for as it is way toooo loud for my liking. Very simple, matte black bottle with a standard applicator – typical chic and slick packaging. 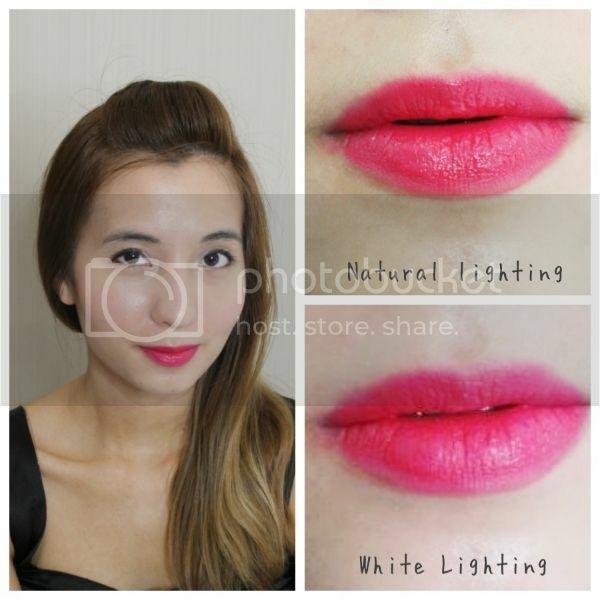 Remember not to take too much of the product at a go as it is quite runny and will make a hot pink mess everywhere.. Well, at least it happened to a noob like me and even stained my teeth -.- I do reckon it is better off for layering on top of lipsticks/lipbalms and even creating ombre lips (if you’re more into the natural look) instead of using it on its own. Not worth the hype, really.